The SMM international maritime fair in Hamburg is one of the leading events of its kind globally in commercial marine. As you would expect, Kahlenberg can be found in force at this event, with Steve Kahlenberg and Steve Koch present from Kahlenberg Industries and Toby du Pré and Kim Hollamby representing Kahlenberg UK, the company’s European distributor. 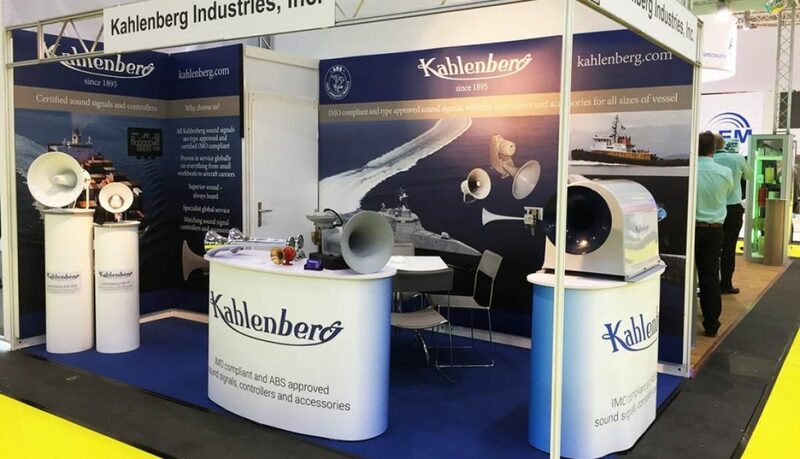 Centrepiece of the Kahlenberg stand this year is the new Z-320-SC self-contained air horn, suitable for vessels between 75m-200m. This completely self-contained unit has a direct drive compressor within a heated housing has been creating a lot of interest in the SMM Navigation hall. It offers all the convenience of an electronic horn with the sound quality and reliability of an air horn. Other exhibits include the KB-30A and KB-15G marine electronic horns, the D-330 and the hugely proven Kahlenberg KM-250-DVM-H, and the M-512 sound and light signal controller. Plus of course we can discuss our full range of high quality air horns, piston horns, electronic horns, bells, whistles, compressors and controllers and how they can be used or adapted for your sound signalling requirements. We also have the necessary drink, snacks and seats to offer a very friendly pitstop on your long tour around the halls of Messe Hamburg, so please stop by booth 6.248 in Hall 6. We’ve opened for business today at Seawork 2018 on stand SR6 alongside our sister company, du Pré Marine. Sound signals on display include the KB-30A and KB-15G, the D-330 and D-0A, plus the M-512 sound and light signal controller. Plus we have full details of the rest of the range, including the new Z-320-SC self-contained pneumatic horn. 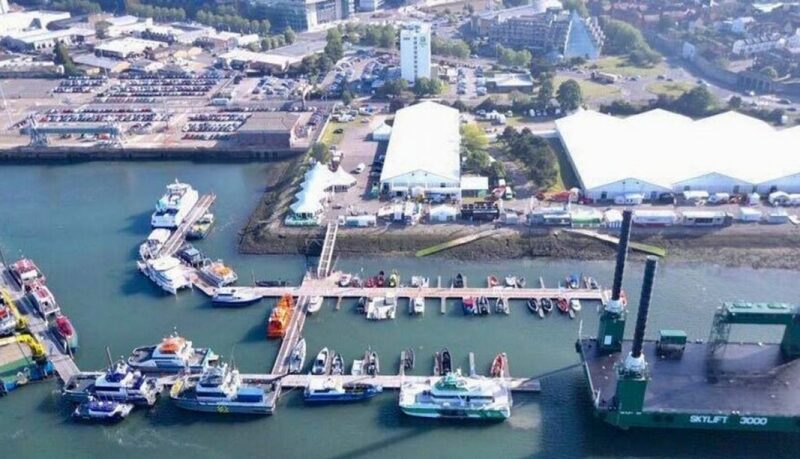 The Seawork Commercial Marine and Workboat Exhibition and Conference runs from 3-5 July in Mayflower Park, Southampton, UK. We look forward to seeing you there. We’re just on the eve of the Seawork International show in Southampton next week, which runs from 3-5 July. 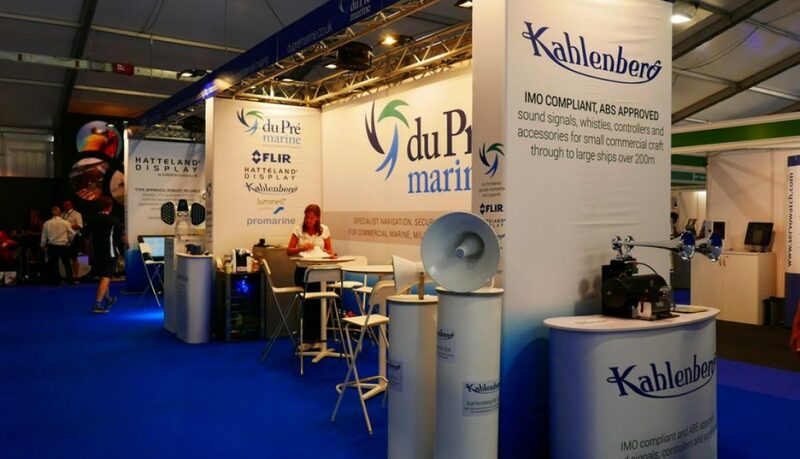 Kahlenberg will have a large display from our commercial range on Stand SR6 alongside our sister company, du Pré Marine. Taking pride of place will be the new Kahlenberg Z-320-SC completely self-contained pneumatic horn, for ships between 75m-200m. This standalone solution combines the performance and robust virtues of an air horn with the convenience of an electric horn. We’ll also have the popular Kahlenberg KB-30A horn hailer, its smaller KB-15G sibling and a host of other products from the range. Please do stop by at SR6 to say hello to Toby and Kim – we’ll be pleased to see you. Register to visit the show here. Kahlenberg Industries Inc has a proud track record of engineering excellence since 1895. 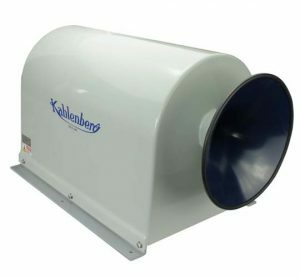 Kahlenberg air horns start with models suitable for boats of 8m or less and run right through to sound signalling equipment found on ships of 200m and more including aircraft carriers. The range also includes type approved electronic horn hailers and electric piston horns. The hallmarks of the Kahlenberg sound signal range include superior build quality, reliability, compliance with the IMO ColRegs, type approvals including ABS type approval and aesthetic and audible pleasure for the owner. You will not find a better air horn, electronic horn hailer or piston horn installed on a yacht, motorboat, superyacht, commercial or military vessel anywhere in the world today. Kahlenberg is represented throughout much of Europe by Kahlenberg UK. We are a sister company to du Pré Marine that offers high quality service for a selected range of specialist marine equipment. Kahlenberg UK Ltd, The Old Dairy, Standen Manor, Hungerford RG17 0RB. England, UK. +44 1635 35353. Company registered in England and Wales. Registration number 7558564.